Dr. Strange explains the deception which has happened to Iron Fist and he apologizes. Doctor voodoo is contacted by his brother. The new Avengers and strange get attacked by a messenger of Agamotto who informs them that the Vishanti- the trinity of magical beings who rule over earth based magic are no more and his lord needs his eye back to fortify his power. 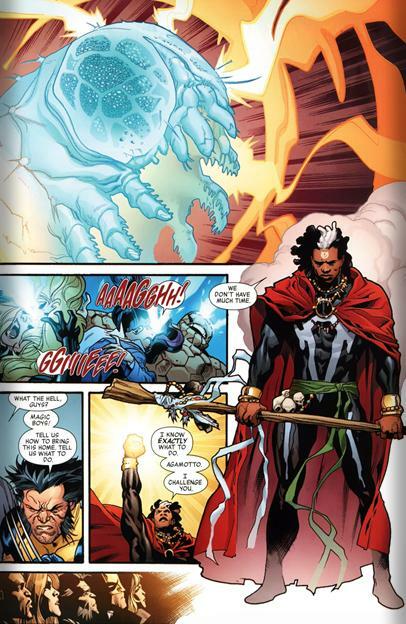 Voodoo saves them and challenges Agamotto to a death duel. 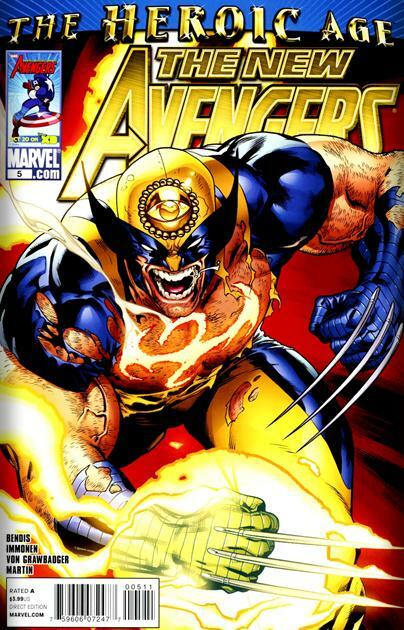 Knowing eh cant win he uses logan as a vessel for the combined power of the gathered heroes. Powered up Logan is ready to do some damage! Art, colors and dialogue are all top notch. 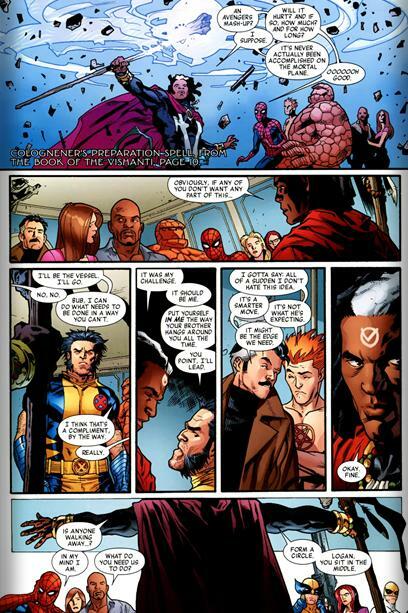 Doctor voodoo shows some great knowledge edging out both Strange and Hellstrom in the formulating a plan to stop the impending destruction of everything and defending earth. Voodoo’s characterization and his guilt over the loss of his brother life should ties directly into his limited series 🙂 I love when stories are connected in a meaningful way.